I had a chance to fish with Thomas Harvey who runs Carolina Fly. The goal of today was to find some white bass. Thomas had never caught them locally before and was eager to see what the bass run was all about. He is as good at fly fishing as he is at tying flies. It wasn't long before he had his first Eno white bass. The fish was caught on a bugger that was his own creation, a bugger pattern with a red bead head. The fly worked very well and what's funny is Thomas said it was tied based on what I told him a year ago. Apparently we had talked about fishing the Eno before last year and never got a chance to hook up. He had tied all of these flies in hopes of using them on that trip. I'm glad he still had them because the fish ate them like candy. There was one pool in particular that seemed to be stacked with 12inch or bigger fish. I think these were possibly the largest white bass I have ever caught. We kept just missing them or catching them for over an hour. There would have been more pics but we were busy catching fish. I had to go but Thomas stayed on the water to keep wearing the fish out. It was really productive for such a short time on the water. I think Thomas is addicted and will probably be hitting the Eno a lot more often. Today I hosted a fly fishing trip on the Eno. I don't know what I was more happy about the weather or the fact that everyone showed up on time. I hate waiting for people. There was 5 of us and the parking lot was loaded with cars. We debated going to another section of river. I'm glad we didn't. The best thing about fishing with other people is finding out what works quickly. There was a guy with us who never caught a White Bass before. I showed him a run that had been good to me yesterday. On his fourth cast he pulled out this fish. While he was unhooking the fish I cast out and had a fish on my first cast. This was definitely going to be a good day. The bite slowed down and we went downstream. There wasn't as many people along the banks as I thought. I'm not sure where everyone was but I was glad they weren't where we were going. A buddy slid in to a spot where he had cleaned up yesterday. He pointed out the best spots and we all kind of lined up. I caught a few fish but I noticed my buddy catching them fairly consistently. I started to watch him and I noticed he was moving the fly in really short quick strips. I was doing more of a 4 inch strip type retrieve. Once I changed the retrieval it was a different world. I had hit or fish on almost every cast. The fish ranged in all different sizes from small males to decent size females. After everyone got the retrieve down we were all catching fish. The bass seemed fond of smaller flies. Really small for what I was used too. I was throwing a size 8 wooly bugger and the fish really liked about a size 12. The fishing stayed hot and heavy for awhile. It was really nice to catch a few on one bank then do a 180 and catch a few fish on the opposite bank. When you get on a nice school of white bass it's unreal. They fight hard and they seem to be everywhere. The bite slowed down after about an hour. We tried various spots and caught a few here and there but nothing was as great as the first section we fished. All together we probably caught over 100 fish. It's hard to beat a day like that. These are the types of days that keep you coming back and tease you all winter until spring hits. It's about that time. 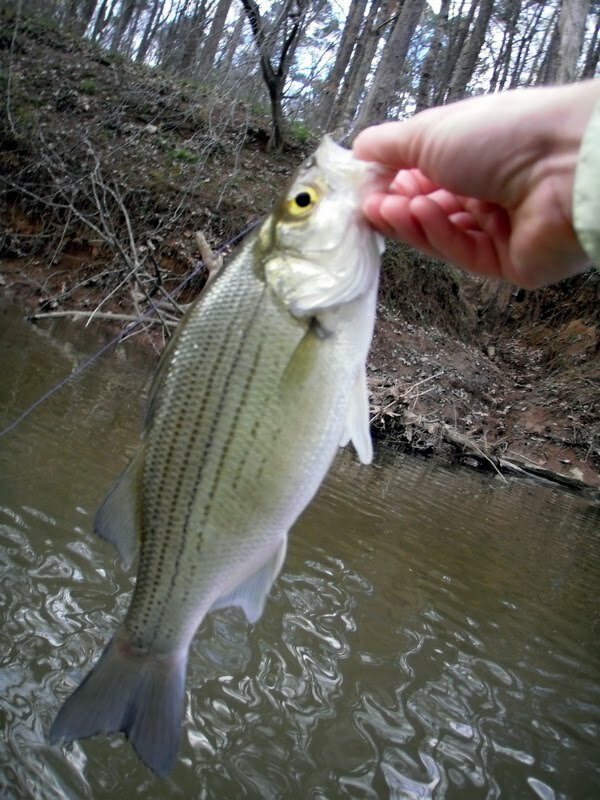 Every spring white bass migrate from a nearby lake to spawn in the waters of the Eno River. 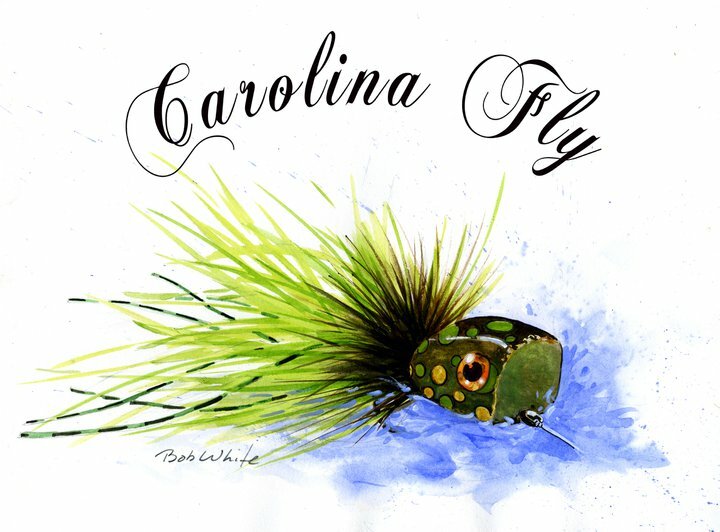 Tomorrow I'm hosting a White Bass fishing trip for the Triangle Fly Fishers. I spent the afternoon scouting out locations and spots where fish would be holding. There is one spot in particular that always holds fish. It's not any surprise. The current cuts straight through the middle of the river and creates big eddies on either side. Fish are found in both places. I cast to the right eddy and worked my fly with the usual strips. On my fifth cast I got this guy. It was small male. A promising start for such a short time fishing. I didn't get many hits after that one fish so I worked downstream. I came to a section where a creek entered the water and there was a submerged tree. This river has so many places where fish can lurk. There's so many sections that have great fish habitat. Submerged stumps and trees. Riprap, eddies under trees and around fallen debris. I worked my fly down the incoming creek and along the submerged tree. There was a flash and my pole arched and the fish dove straight down. I thought this was going to be a monster. I've caught bass three times this size that didn't fight as hard. The fish was on a mission. It looked really healthy too. That's what's really great about spring white bass fishing you never quite know what you're going to catch. I kept working my way downstream and eventually came to a section that I knew for sure had to hold something. If not a white bass then a largemouth, crappie, carp, catfish, some fish. 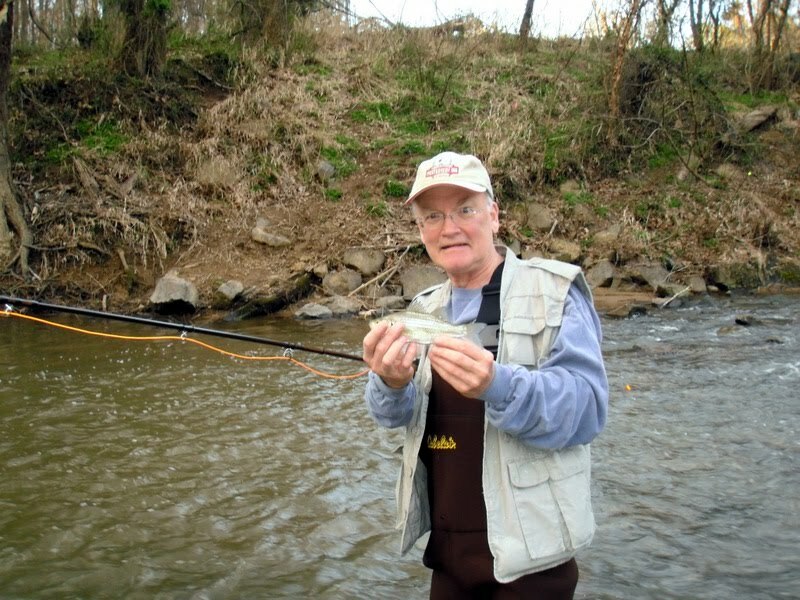 After a few casts I saw a silver flash that looked like a hubcap attacking my fly. That's another great thing about white bass, they don't mess around. If they want your fly they are going to get it. When they hit your line jerks hard. There's no mistake that you have a fish on. This was my only female of the day but she put up a great fight. I met up with some friends and no one had an amazing day. The water seemed low but it was still great to be outside. I went back to where I started the day and caught a few more small males. The fly that worked this time was a pink, chartreuse and white clouser that I use for stripers. I don't think white bass are that finicky about fly selection. If it's flashy and swims, I think they'll eat it. I'm hoping I can get the group on some fish tomorrow. The weather is supposed to be in the mid 70's. I've been fishing for the last couple days with my line missing a guide. I'm too lazy to re-string it through the guides. I'll probably fix it today. Anyone ever get lazy like that? Fish with a 5ft leader because you're tool lazy to tie on more or switch it out? Or leave a inch long tag end after tying a fly, or a wind knot in your leader? A friend invited me on his boat to chase white bass last weekend. The weather and company was great but the fishing not so much. We worked a good amount of the river with only one bass to show for it. It seemed no one was having a very good day. Except for a couple guys in a canoe. They went way upstream from where everyone was fishing and said they caught 20 or more. I tried a small feeder creek and saw a few small male bass tease my fly. There didn't seem to be any big females up in the creek yet. Or they could have already gone past. Who knows? I'm going to find out this weekend. Some of the other fish are getting aggressive. A river chub attacked a white bugger I was throwing which is a first. It was good enough to get the skunk off for the day. The forecast for this weekend is mid 70's. I'm praying the bass will cooperate. Whenever I go to Boone I have to make at least one trip to a trout stream. There was word that the Watauga River DH has been stocked last week. The report I read said some huge brookies had been put in. I decided to try my luck. Since it had been over a week I figured the fish had seen a fair amount of flies. The usual's should work, bead head hairs ear, pheasant tails and copper johns. I tried to think of something they hadn't seen. For about a year I've had a bead headed pink wooly bugger in my fly box. I was told it is a great smallmouth fly. I figured if the trout had seen a bunch of wooly buggers they probably weren't pink. Even with all this logic I was reluctant to tie it on. I cast into the far edge of a pool and started making quick strips. Nothing on my first two casts. Then on my third cast I started stripping really fast, a buttery flash and huge swirl went around the fly. Then the bump that can only be a fish. The fly came loose instantly. The next cast was the same a few bumps and splashes but the fish seemed to be hitting short. My next experiment was to slow the fly down or pause the strips all together. The next cast went out then I did about 6 inch strips. Strip pause, strip pause, strip.... BUMP! Then the line went slack, strip............ Bump! This time the resistance didn't stop. My rod kept bobbing and I wasn't gaining anything on the fish. I figured I had it wrapped around a log. Then the fish moved from side to side and I could tell it was free and not hung up at all. I couldn't see how big it was because of the glare and distance. The fish didn't take line but it bull dogged and kept a good bend in the rod. Then it did what other big trout have done it slowly swam up stream. It did this almost as if it thought it could tow whatever hooked it. Eventually it realized this wasn't going to work and it back tracked downstream. From the way the fish seemed hooked I wasn't concerned with playing it until it shook it's head above the water and I could plainly see all of my pink wooly bugger. I started to really pressure the fish and tried to pull it into slack water. It would move to the slack water then bolt to the fast water, it did this over and over but was coming closer each time. The worst part is I didn't have a net. I was able to land it and get some pics. I fished up stream and downstream but no spots were as productive as where I started. I fished for two hours and probably landed 10fish. I was really working on my nymphing technique. I got rid of going with wooly buggers and went with a egg pattern and a hairs ear as a dropper. Fish were taken on both flies. I love this combo because I think the pink of the egg attracts the fish then if they turn that down the nymph goes by and they slam it just out of instinct. This technique seems to work very well. When they get smarter I switch out the egg pattern for a different nymph. The main thing I've been working on lately is the trigger effect. I've been working on this with bass, bluegill, pickerel and now trout. 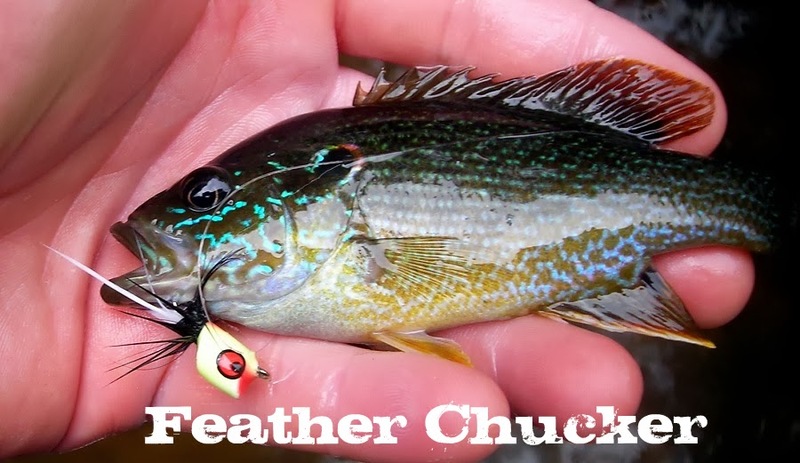 The thing I've come to understand between all the different fish with the attack trigger was based on the fall rate of the fly. If the fly fell at a certain speed there was an instant attack. If it feel too fast or too slow I would get interest from the fish but not a attack response. It was almost a curious type behavior. If the fall rate was at a certain speed the attack was instant. There was no doubt or fluke in what happened. I'm trying to experiment with this more but I'm hoping I can get to where I can film the exact fall rate to trigger the attack. The rain was pelting me the whole time and I couldn't ignore the cold anymore. 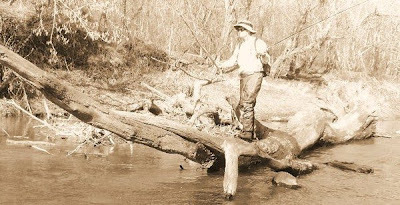 It was in the mid 40's and every time I landed and released a trout I kept saying ok just one more. After releasing one fish I soaked half my arm and jacket. That was it. I called it a day but what a day it was. Pretty productive for a short time on the water. That is what's great about DH streams. They stocked a lot of brooks this year. Usually I catch a nice mix of Browns, Rainbows and Brooks. This time every fish I caught was a brook. That doesn't make me feel very skillful. They definitely aren't the smartest of the three. I took a few videos while I was on the water. The big brook I caught took a rest right between my feet.